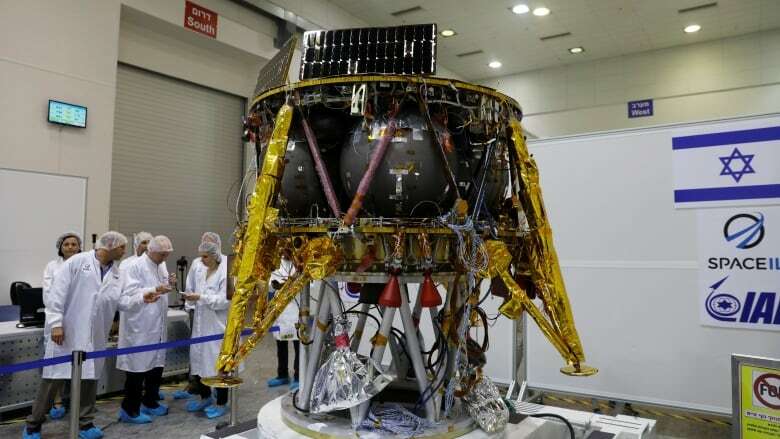 A low cost, privately funded space probe from Israel set off this week on a long, roundabout route to the moon that will take eight weeks to complete. It's a clever way to keep costs down by using the Earth's gravity to save fuel. Beresheet, which means "in the beginning" in Hebrew, is the first non-government spacecraft to go to the moon. The table-sized probe will cover 6.5 million kilometres on its journey, which is a sort of a "round the block to get next door" strategy, considering the moon is actually less than half a million kilometres away from here. The Apollo astronauts who flew there in the late 1960s and early 1970s made the trip in just over three days. So why take the long road? Because it is the least expensive way, which is what the new era of private spaceflight to the moon is all about. In the past, flights to the moon were funded by governments who could afford to fly on big rockets that could take the direct and fastest route to the moon. And plans to return to the moon will continue to do that using gigantic machines such as NASA's SLS that will cost at least a billion dollars every time it leaves the ground. For the private corporations who are developing small robotic landers that will deliver scientific payloads at a fraction of the cost, they need to rely on different techniques to cross the gap between the Earth and the moon. One way to do that is to use the physics of Albert Einstein to help along the way. Einstein described gravity as a curvature of space, where a planet such as the Earth curves the space around it into a circular form the way a bowling ball makes a round depression on a mattress. Any smaller object entering that gravity well will either fall down the sides of the well and hit the planet, or if moving in the right direction and speed, ride around the walls in an orbit and become a satellite. The moon is riding the walls of the Earth's gravity well, but it also has a smaller well of its own. So getting to the moon requires climbing out of the gravity well of Earth and falling into the gravity well of the moon without flying off into deep space. The first step is to escape from Earth, which requires the enormous speed of at least 40,000 km/h. That's 11 kilometres every second, or 33 times the speed of sound. Once you reach that speed, you will drift "uphill" away from the Earth, until you enter the moon's well, where you put the brakes on so you will be captured by the moon's gravity and ride the walls there. Unfortunately, the Falcon 9 rocket that lofted Beresheet into space did not provide enough velocity to escape Earth. That's because the Israeli probe hitched a ride along with two other satellites that were only put into orbit around Earth. That saved a lot on launch costs, but to make up for the lost speed, Beresheet is using Earth's gravity and a small amount of fuel to wind itself up and make the escape. As the spacecraft climbs up the gravity well, it will eventually begin to fall back down, speeding up as it goes. When it swings around close to the Earth in a long elliptical orbit, it will fire its engine for a short time to add to that speed, so it climbs a little higher on the way back out. It will repeat this manoeuvre a few times, giving itself a boost, the way you push someone on a swing with a small shove each time they swing back to you to make them go higher. The final push will send the spacecraft high enough to cross the orbit of the moon. All of this has to be done with exquisite timing so Beresheet reaches the moon's orbit when the moon is actually there. Remember, the moon takes a month to orbit Earth, so the precision in all this swinging and pushing comes down to minutes and seconds. In the end, Beresheet will conduct a few scientific experiments on the moon, but its real purpose is for national pride. If successful, it would make Israel only the fourth nation to land on the moon, after the U.S., Russia and China, as well as to provide inspiration for young people to become interested in science, technology, engineering and math, or STEM. This is another giant leap in the new era of private spaceflight. Several companies are preparing robots to provide low-cost access to the moon. As Bob Richards, owner of Moon Express puts it: "We're really hoping to be a FedEx to the moon." This will allow anyone with an interest in exploring or exploiting resources on the moon to get there without breaking the bank. They will just have to exercise a little patience waiting for the delivery truck to arrive.